Come celebrate your birthday or other special event with us in the Safari Club House! The NEW Zoo provides a fun and entertaining party package for you to celebrate a special day. *Please note: We are unable to take reservations for parties or room rentals during the month of October. A $50 nonrefundable deposit is required upon booking to hold your date. 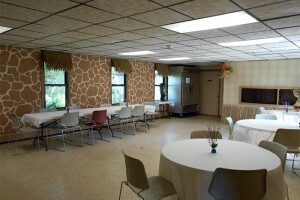 If you are interested in a party at the Adventure Park (zip line, ropes course, etc. ), visit this page here. 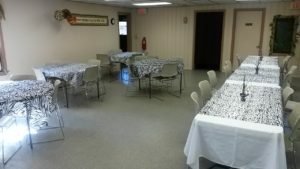 The Education Classroom is not always available; if you think your party may have over 30 people, please let us know right away. If you book the Lion Pride Package, we cannot always “bump up” to the Giraffe Herd, based on other programs that also take place in the Classroom. Do you want lunch or dinner? You can cater in a meal! You can have food catered from any licensed caterer or restaurant of your choice, OR you can bring in food items from any licensed vendor or restaurant (such as a fruit tray from a grocery story, etc.). We do have a few restaurants we recommend based on their proximity to the NEW Zoo. Some will even deliver right here! If you’re not looking to book a Party Package, you can choose to rent either the Education Classroom or the Safari Room for up to 3 hours for $75 or 4 hours for $100. You would be responsible for cleaning the room and returning it to its original state before you leave. 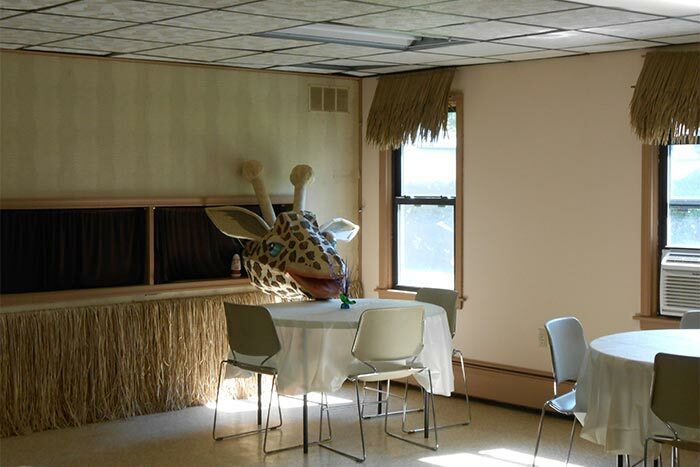 Zoo Admission would apply to all your party guests. You would be able to cater in via the same methods described above. 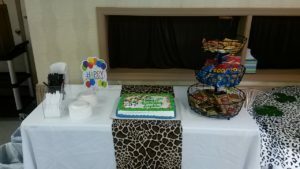 Any cake or dessert brought in would need to be from a licensed baker OR we can provide the cake for you (a half-sheet cake) for a fee of $20. Full payment for the rental is due upon booking. To request a room rental, please complete this form. We recommend having three preferred party dates in mind. Party Packages can book quickly – so don’t delay; contact us today!